The IDC report is the CFO’s go-to technology vendor guide on accounts receivable in a rapidly changing world with a dynamic regulatory and reporting environment. Does the vendor have enough experience successfully implementing financial solutions? Does the vendor have experience with my type of product, service, and company size? Does the vendor understand the regulations that will impact my business? How are these regulations reflected in my current product and how will it change in the future? What levels of support are available and are they geographically available for my business? What is the vendor's strategic investment outlook for the next three to five years? Why? How will that change and enhance my business? Is the ROI achievable? Does the vendor have a track record of meeting the ROI requirements? 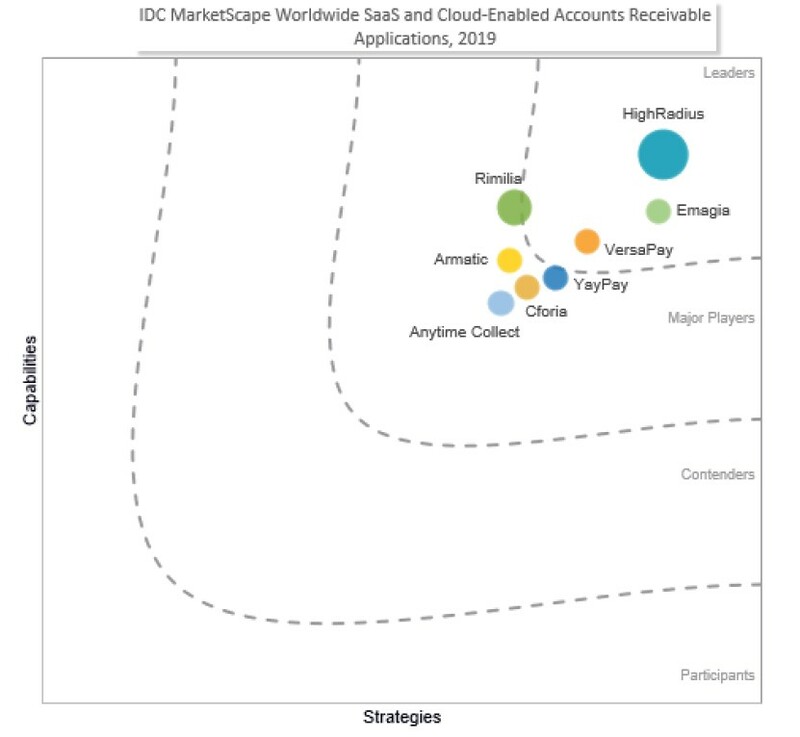 In the report, IDC concludes that HighRadius’ integrated offerings for credit, billing, and payments, cash application, deductions and collections that are powered by artificial intelligence and touch/voice-based user interface are key differentiators that attract a rapidly growing customer base with 375 customers in 39 countries.